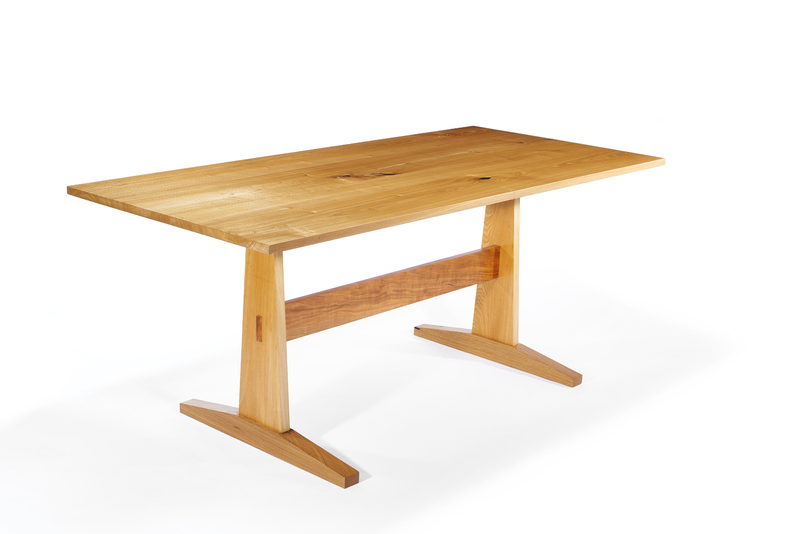 Constructed from locally harvested catalpa, cherry and reclaimed American chestnut. Features through mortise and tenon construction. Finished in satin lacquer. Customizable for any size and wood specie. 34" x" 72" x 30"